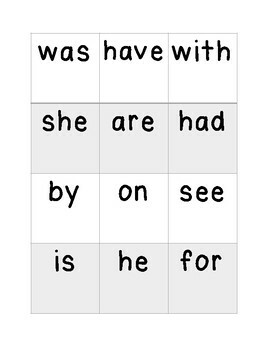 This is a great an active game for Pre-K/K students! 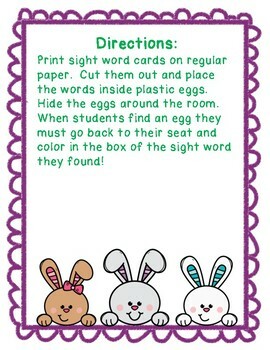 Place sight words inside plastic eggs and hide around the room! 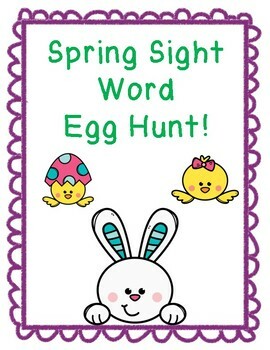 Students find the eggs and color in the corresponding sight word on their recording sheet. Everything is included except plastic eggs!